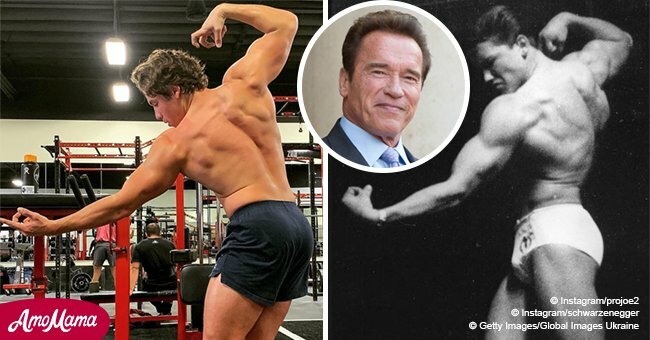 Arnold Schwarzenegger’s marriage with his wife, Maria Shriver is going through a torrid test after recent revelations that he had a son with his maid. 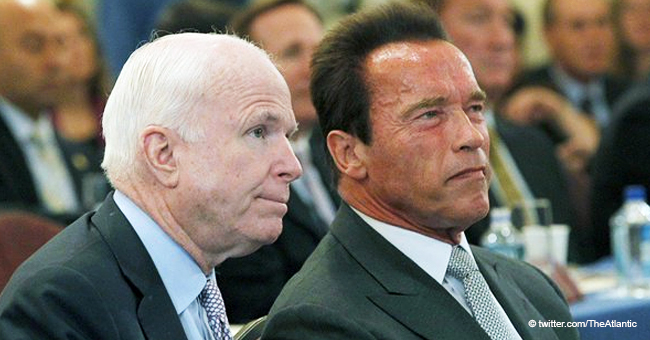 The help had initially hid the pregnancy from Arnold, but later threatened to go public. 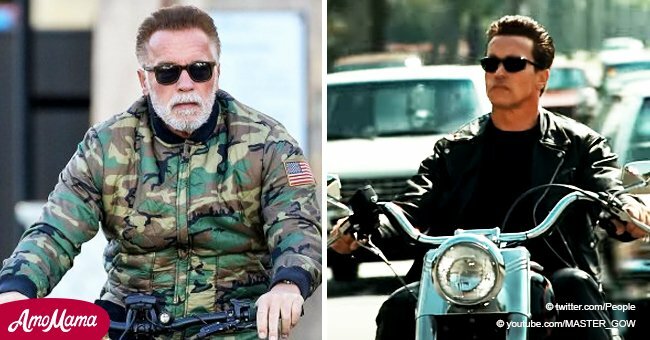 Arnold Schwarzenegger is often seen as a brave fighter in most of his movies, but he now needs all of his fighting bravery to save his marriage of twenty-five years. The veteran is battling to save his marriage as his wife is considering filing for a divorce after the revelation that her husband had a son from their maid back in the day. 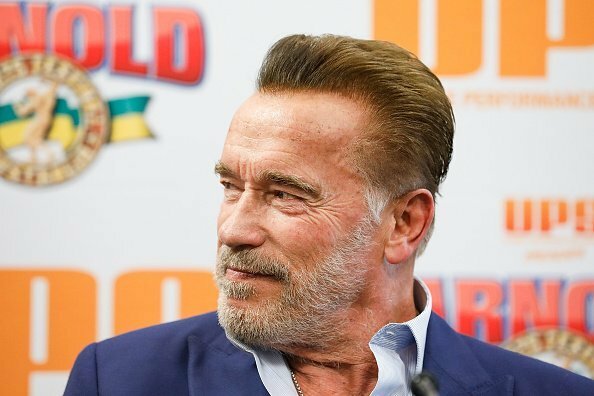 Actor, Arnold Schwarzenegger at a press conference in Melbourne, Australia. | Photo: Getty Images. The maid, Mrs. Mildred Baena, gave birth to the child in October of 1997, five days after Arnold and his wife had their youngest child. Initially, she did not tell the actor that he was the father. Instead, she said the child belonged to her ex-husband, who later separated from her days after the birth of the child. When the child, grew into a toddler, she then told him he is the father. He went on to confess that he had a lovechild when Mrs. Baena threatened to go public with the revelation after she felt the Schwarzenegger family had let go of her after twenty years. Mildred recently spoke to HELLO! 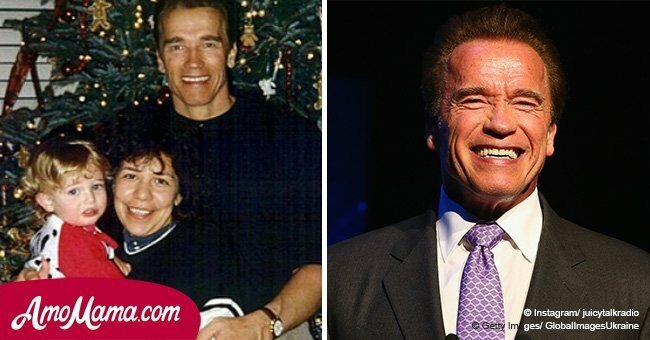 about her affair with the former governor, saying she never told him that her son, Joseph was his, though it began to seem suspicious when the baby started to grow and look like Arnold. This led to Maria Schriver asking her, and when she revealed the truth, the actor’s wife cried. Maria Schriver and Arnold have since separated, though the veteran says he hopes she can forgive him for his actions. He has continued to support his son, Joseph Baena, and recently invited him to his family home. The now grown-up kid looks just like his star father! Arnold Schwarzenegger’s oldest child from his marriage with Maria Scriver, Katherine has grown into a beautiful woman. Arnold Schwarzenegger and his daughter Katherine at DVF for Fashion's Night Out in Los Angeles. | Photo: Getty Images. She is also versatile like her dad, as she has a degree in communications, and is even going into acting. She has also written three books about her experiences in life and her search for a career path. Her last book is about her relationship with her dog, Maverick. She is a lover of pets and a supporter of Animal Rights Campaign groups.